2015 - a year which surely must have been the best (or rather worst!) 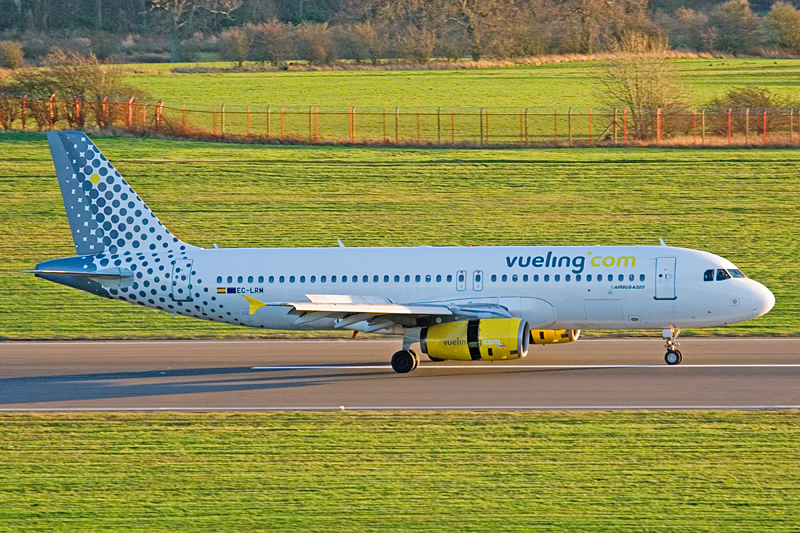 for 'first visits as suches' - continued to provide old airframes in new guises in its dying days with the first of four Vueling Barcelona rotations over the holiday period, a taster for the carrier's two-times weekly service which will start on 29th March, increasing to three-times from 5th June. Of a fleet of over 100 'single-aisle' Airbus', today's inaugural flight was flown by one of the relative handful of ex-Spanair A.320s operated by the airline, EC-LRM having visited Newcastle Airport previously on a total of 32 occasions as EC-HRP during 2001, 2002, 2003 and 2005.